NEW YORK, NY--(Marketwire - Jan 30, 2012) - Atlantic recording group Shinedown has announced plans to headline this year's eagerly awaited Avalanche Tour. The North American trek -- presented by Zippo and produced by Synergy Global Entertainment, Inc. -- gets underway on March 27th at The Grove in Anaheim, California and then continues through late April (see below itinerary). 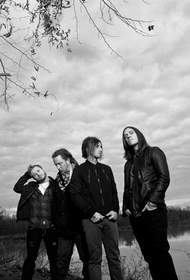 Accompanying Shinedown on the 2012 Avalanche Tour will be Adelita's Way, with additional support from New Medicine (March 27th - April 10th) and Art of Dying (April 12th - April 25 th). Pre-sale tickets for the second annual Avalanche Tour will be available to members of Shinedown Nation, the official Shinedown Fan Club, beginning January 31st -- please visit www.shinedown.com for complete details. Additional Avalanche pre-sale tickets will be available on February 1st, with all remaining tickets then offered to the general public on February 3rd and 4th. During the tour, fans at the show in each market will have a chance to win exclusive backstage passes to meet Shinedown and the other bands by tweeting #ZippoEncore. Additionally, Zippo will give fans onsite a special code that is good for exclusive free music downloads on ZippoEncore.com. For information and links to purchase all tickets for the 2012 Avalanche Tour, please visit www.AvalancheTour.com. The 2012 Avalanche Tour celebrates Shinedown's much-anticipated new album, "AMARYLLIS," which arrives in stores and at all digital retailers on March 27th. The album is highlighted by the explosive new single, "Bully," which is available now at all DSPs. Shinedown's first new music since all six singles from 2008's "THE SOUND OF MADNESS" ascended to #1 at Rock radio, the track is already a top 10 sensation at Rock radio outlets nationwide after having immediately been declared the format's #1 Most Added. A companion video clip for "Bully" is currently in pre-production, while an official lyric video is streaming now at Shinedown's official YouTube channel, www.youtube.com/user/ShinedownTV. Currently poised to begin a major European tour, Shinedown will herald the release of "AMARYLLIS" with a visit to ABC's Jimmy Kimmel Live! Slated for Monday, March 26th, the appearance will see Shinedown performing "Bully" live for the first time on national television on the show's outdoor stage (check local listings). "AMARYLLIS" sees Shinedown joining forces once more with multiple Grammy Award-winning producer Rob Cavallo (Kid Rock, Green Day), who previously collaborated with the band on the record-breaking "THE SOUND OF MADNESS." Recorded at Cavallo's Lightning Sound studios outside of Los Angeles and a pair of Hollywood landmarks, Ocean Way Recording and Capitol Studios, the album was recently named among "This Year's Best Bets" by Billboard, which noted the inventive addition of synths, a 27-piece orchestra, and a 10-piece horn section to the band's powerful hard rock. Shinedown will reveal the "AMARYLLIS" cover art with an interactive fan experience beginning on January 30th at www.shinedown.com/amaryllis. In addition, album pre-orders will be available in a variety of bundles. A pair of packages will be on offer, comprising an array of exclusive extras: the "Deluxe Early Entry Bundle" features one General Admission ticket to the 2012 Avalanche Tour show of the customer's choice with early entry, while the limited edition "Premium Meet & Greet Bundle" will include one General Admission ticket to the 2012 Avalanche Tour show of the customer's choice, admission to a very special meet-and-greet with the band, and a screen-printed poster signed and numbered by Shinedown themselves. Both bundles include a CD copy of "AMARYLLIS," a Shinedown rubber bracelet and T-shirt, one-year membership (or renewal) in the Shinedown Nation Fan Club, a full album stream one week before street date, and an instant MP3 download of "Bully." "THE SOUND OF MADNESS" proved Shinedown's mainstream breakthrough, debuting at #8 on the Billboard 200 before spending 120 consecutive weeks on the chart. The album made rock music history, with each of its six singles reaching #1 on the airplay rankings. Among them are such hits as "Diamond Eyes (Boom-Lay Boom-Lay Boom)," "Devour," "The Sound of Madness," "The Crow and The Butterfly," the gold certified "If You Only Knew," and the double-platinum certified crossover smash, "Second Chance" -- all of which rose to the top of the airplay charts, marking a genuinely stunning streak of rock radio classics. Shinedown supported "THE SOUND OF MADNESS" with a wide range of live TV appearances, including performances on ABC's Jimmy Kimmel Live!, NBC's The Tonight Show with Jay Leno and The Today Show, CBS' The Early Show, and the 2010 NHL Awards show. In 2009, the band received an American Music Award nomination for "Best Alternative Rock Band." Shinedown's unprecedented ascendancy over multi-format rock radio initially began with their RIAA platinum certified 2003 debut "LEAVE A WHISPER" and its gold certified 2005 follow-up, "US AND THEM." Together, both albums yielded seven consecutive top 5 radio hits, including "Fly From the Inside," "45," "Simple Man," "Burning Bright," "Heroes," "I Dare You," and of course, the #1 blockbuster, "Save Me," which dominated Active Rock radio for a remarkable 12 successive weeks. For further news and information, please visit www.shinedown.com.